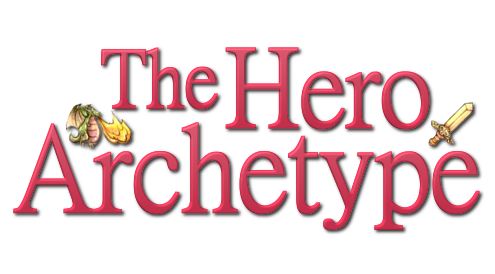 The Hero Archetype: Rock bands and record players: The psychology of musical sources in Anime. Rock bands and record players: The psychology of musical sources in Anime. Does it matter if the background music is coming from a rock band or a record player? and designing a fake album cover, just to give the right background to another, bitter-sweet, scene. It’s not unusual for series to include musicians among their cast of characters; providing another method for inserting music into the story. Series about bands, like K-On!, have the advantage of being able to explain the presence of songs through rehearsal and concert scenes (2). The plot doesn’t necessarily have to revolve around music though. 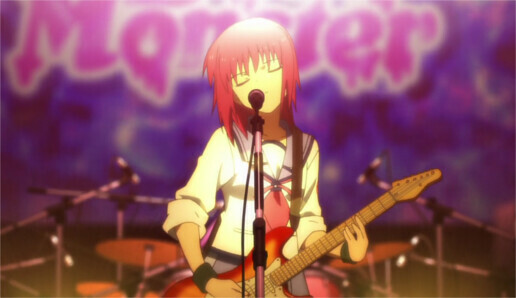 The fantasy drama Angel Beats!, for example, has a couple of characters capable of singing and playing instruments, ready to perform as soon as the plot allows it. Animated musicians don’t even have to be that skilled. 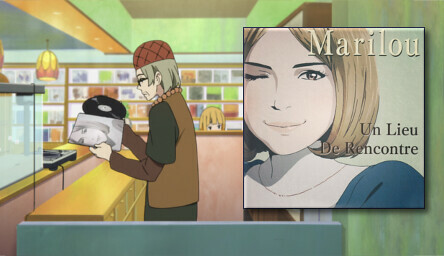 In an episode of Tamako Market, the protagonist's father is revealed to have composed a song for his late wife, while they were both in high-school. His performance, shown through flashbacks, is clearly amateurish. But instead of disrupting the story, it ends up making it more believable and endearing. Including an animated performance might have other benefits. People tend to rate acapella or instrumental compositions better when they are able to see the interpreter (Wapnick, Darrow, Kovacs, & Dalrymple, 1997; Wapnick, Mazza, & Darrow, 1998). And while, in the case of instrumental melodies, this doesn’t make people experience more positive, tense or exciting moods (Vines, Krumhansl, Wanderlev, Dalca, & Levitin, 2011; Vuoskoski, Gatti, Spence, & Clarke, 2016), it can make the audience more interested on the music, or even happier, depending on how expressive the performer is (Broughton & Stevens, 2009; Vines, Krumhansl, Wanderlev, Dalca, & Levitin, 2011). The results suggest that the presence of a performer adds very little to the experience of music, at least in the case of single-instrument pieces. Interestingly, they also imply that, when their appearance does make a difference, it has something to do with the way they move (3). Musicians’ behavior tends to receive a special treatment by animators. Particularly in music driven stories. The openings for series like Sakamichi no Apollon, K-On! and even Angel Beats! depict musical performances with an unusual level of detail and realism. 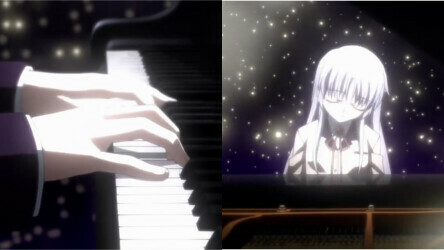 In the intro for Angel Beats!, for example, some notes are accompanied by shots of Kanade’s fingers pressing specific piano keys. This type of synchronization could be making the referred notes more noticeable, facilitating the identification of features like tempo and structure. Two variables that seem to play an important role in the induction of tension and excitement through music (van der Zwaag, Westerink, & van den Broek, 2011), as well as on its enjoyment (Rolison & Edworthy, 2013), respectively. The referred sequence also displays the performer’s hands, torso and head moving in the same manner as an experienced interpreter’s would. The depiction of both fine and gross musical gestures might permit a vicarious participation in the performance. In other words: Being able to see in great detail how an artist produces music, could be allowing viewers to feel like they are singing or playing an instrument, in the same way watching an avatar's hands turn a steering wheel make gamers feel like they are driving. There are plenty of reasons to believe that the additional effort put into these animations didn’t go to waste. But we should also remember that this particular technique hasn’t been properly tested. So it’s still possible that it has no measurable effects on the audience whatsoever. 3. It’s seems a bit incongruent that adding video to a musical performance provokes music to be rated better, while at the same time it doesn’t lead to more positive or exciting experiences. One possible explanation is that the mentioned studies used different types of stimuli (Wapnick, Darrow, Kovacs, & Dalrymple, 1997, used a singer, while Wapnick, Mazza, & Darrow, 1998 focused on violinists) and collected different measures (like low vs. high ratings of music performance, as well as valence and arousal of the experienced mood). Another cause for the different results observed is the use of relatively simple stimuli, like a single instrument performance. In the lab, this setting prevents the interference of external variables. 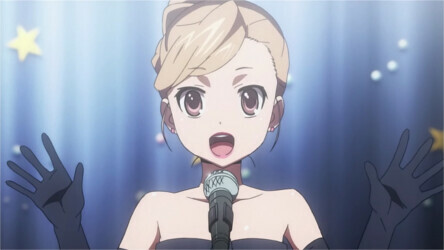 However, it also makes it more difficult to generalize the results to Anime music, were different types of instruments and electronic techniques are used to create the composition. Finally, other variables like the effect of watching a beloved character compose, and perform music, haven’t been studied. So, there is both, space for speculation, and additional research to be done.